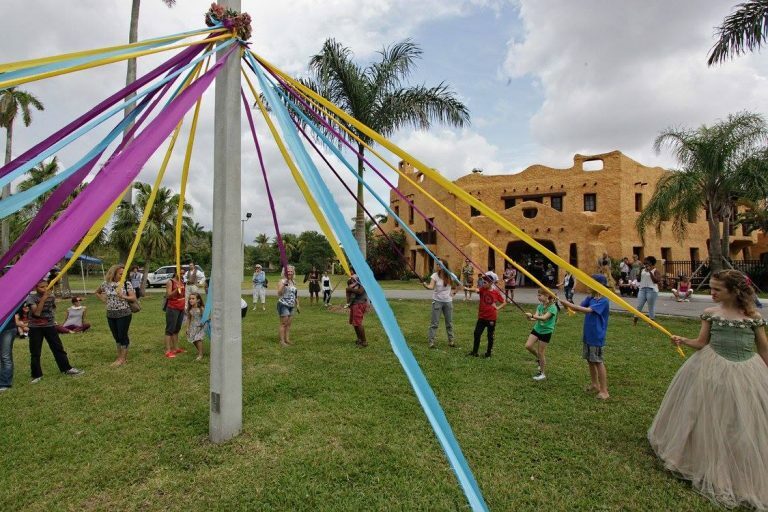 Little Revolt offers participatory theater and art programs in south Florida communities, schools, and senior centers. We believe everyone should have an opportunity to create theater. We offer programs for children, teens, adults, families and seniors. Scroll down this page to learn more about our programs, or drop us a line. 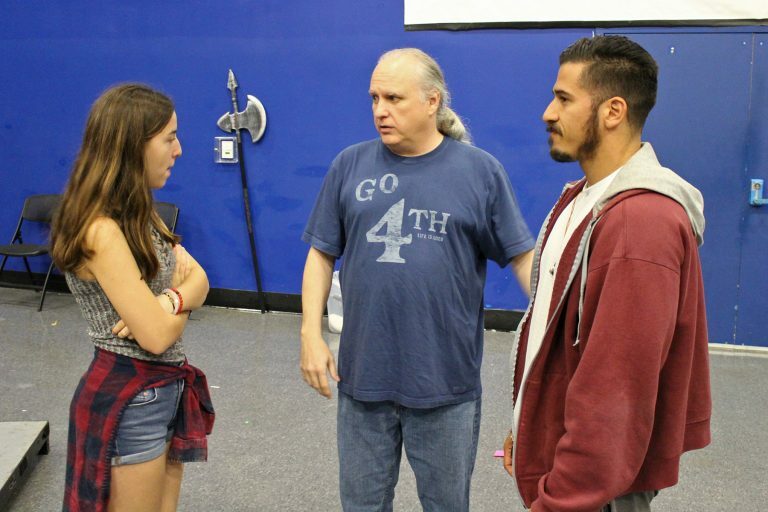 In-School Classic Theater (Shakespeare) Residencies – Little Revolt teaching artists will devote from 1 to 3 months in the classroom, focusing on Shakespeare (or other classical theater) text and performance. The residency will culminate in a student performance. Programs can be customized for all age levels. Shakespeare Camp – We offer a Shakespeare camp for teens, a camp for kids and a bootcamp for adults. 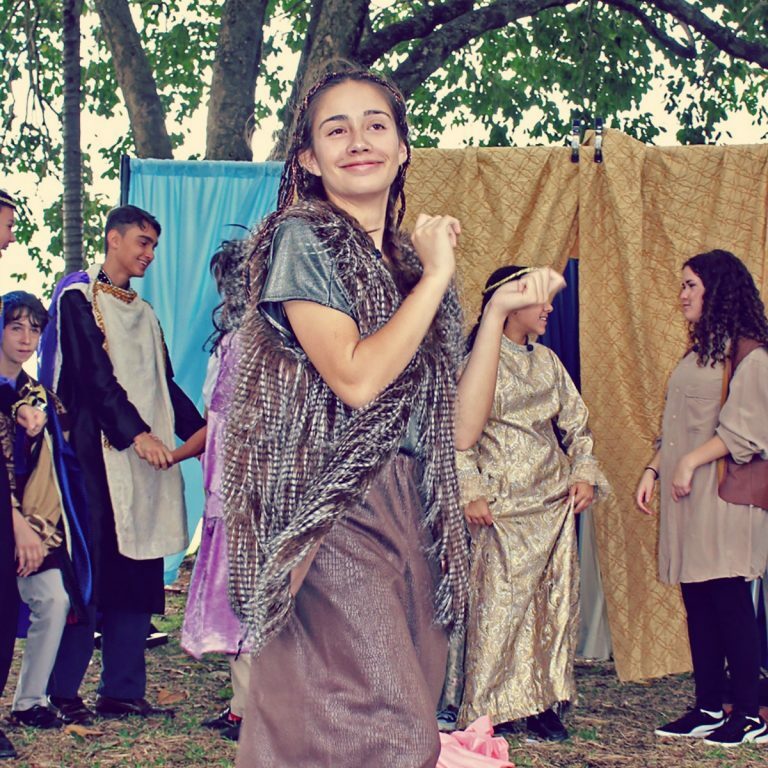 Activities focus on Shakespeare performance and practices, understanding text, acting, stage combat, dance, costuming and more. Camps typically culminate in a performance by attendees. 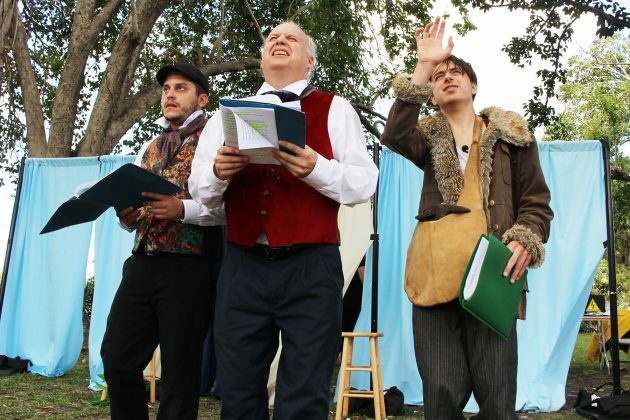 In-School Literary Arts Immersion Program – This unique program involves students in an immersive in-classroom experience around an assigned text (with actors, costumes, etc.). The program also includes an idea session with students to shape how the story comes to life. We are currently seeking funding/ sponsorships to implement this exciting program. Aging need not be about decline. 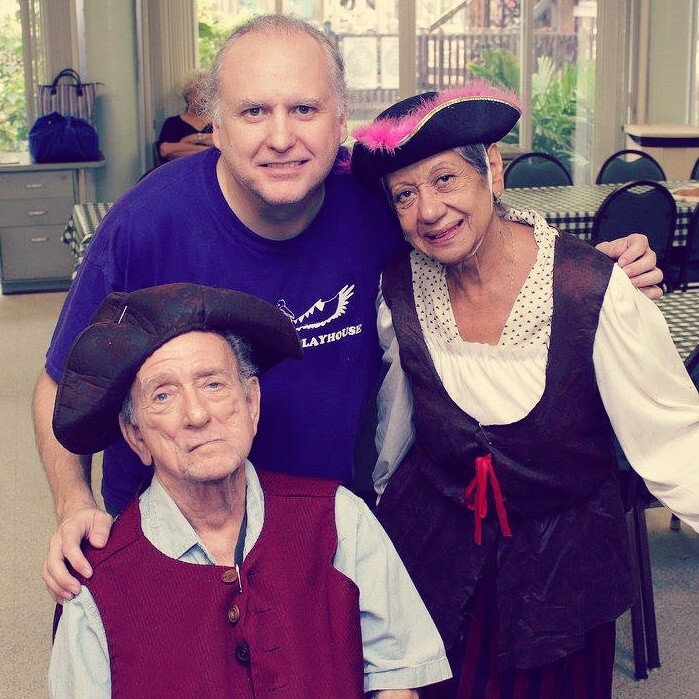 Our programs deliver vitality, creativity, and fun to the lives of older adults. Encore Theater Workshops — Our on-site theater workshops with older adults (55+) culminate in a public performance. Workshops may involve participant storytelling, classical and other theater. Encore Adventure Workshops — Immerses a tram of older adults (55+) in an 8-11 week program which includes a theatrical adventure with actors and a set—plus weekly arts workshops (on-site at local senior centers or similar locations). We are currently seeking funding/ sponsorships to implement this exciting program. Join us for outdoor programs for families and children of all ages. 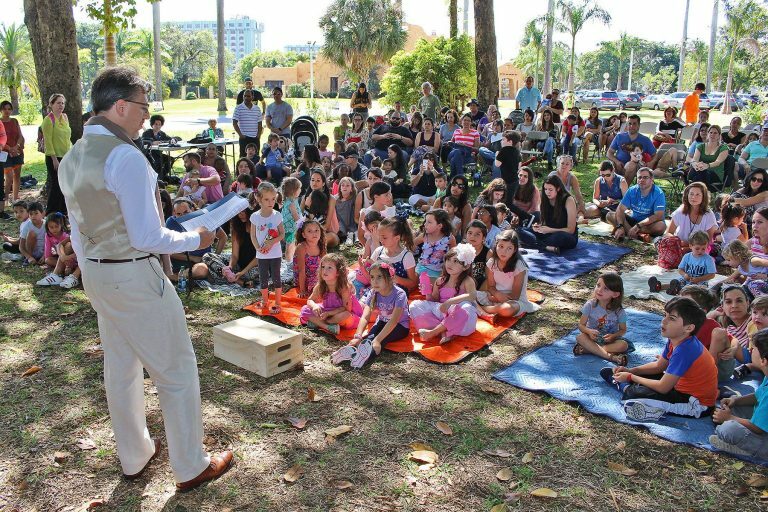 The events are free and open to the public and include storytellers, staged readings of stories and plays, puppet shows, Shakespeare performances and more. More information is available here. In the works: We’re planning more Stories and Shakes for early 2018. Our annual celebration of Shakespeare’s birthday happens in April. There are performances, art workshops, Bard’s birthday cake and more. The event coincides with National Poetry Month. Visit our “Shakes” page to learn more. In the works: We’re planning the 2nd annual celebration for April 2018. Join our Shakespeare theater workshops for adults and teens. Each workshop session will culminate in a public performance! Anyone is welcome — no previous acting experience is required. Follow us on social media or subscribe to our email list to be notified of the next workshop. In the works: We are planning a Shakespeare bootcamp for adults. Copyright © 2019 Little Revolt Inc. All rights reserved.